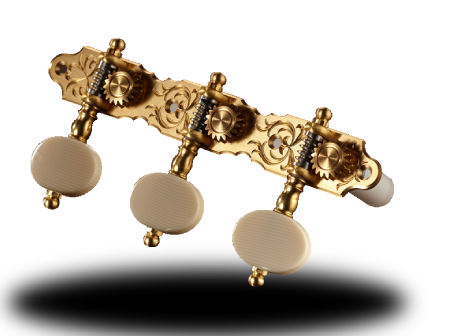 Since the first model 572 debuted in 2011,Perona Tuning Machines had been at the forefront of handcrafted boutique tuners for guitars. Innovative features such as acoustically-tuned string post made from specialized composite material,aircraftaluminum and pure titanium. Plus the exquisitely engraved stylings define the ultimate goal for Perona’s customers:Only the Best of Best Will Do!